This week is expected to be quieter than last week. As the week started, Greenback lost some ground after a worse than expected unemployment rate. There were also uncertainties caused by the newly imposed tariffs on aluminum and steel. 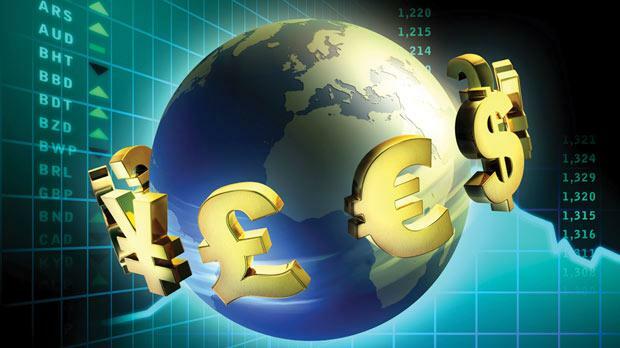 Regarding forex events, investors will focus mainly on inflation data this week. Yesterday (12th March), the Yen was performing badly and the weakness continued to be observed on 13th. This is mainly due to the political scandal surrounding Prime Minister’s Abe’s government. The Yen weakened by 0.3 and 0.5 percent against the major currencies after the Ministry of Finance said officials at the ministry had illegally altered some documents relating to the sale of a state-owned land. The Bank of Japan (BoJ) was scheduled to release meeting minutes later tonight from the bank’s March rate decision. Already, the JPY has shown signs of weakness. Even though the U.S February CPI report was released on 13th, the news about US Secretary of State Rex Tillerson being dropped as the chief diplomat by President Trump made the U.S dollar wobble a bit. The full impact of Tillerson being dropped together with the release of CPI are things to watch out for. Core CPI is anticipated to remain stable at 1.8% y/y. It will then increase by 0.2% m/m after a previous figure of 0.3%. It is expected that the CPI m/m will increase to 0.2% as compared to 0.5% in January. The European Central Bank (ECB) – President Draghi is to speak at an ECB conference. The conference is hosted by the Institute for Monetary and Financial Stability in Frankfurt at 9:00 (GMT). In his speech, it is expected the president will have another chance to drive markets after a previous statement from him managed to drag the Euro performance. Retail Sales m/m and PPI m/m – This event will be happening at 13:30 (GMT) and worth monitoring. The PPI is expected to drop from 0.4% to 0.2% while retail sales are forecasted to grow by 0.3% vs -0.3% previously. Both of these economic events are coming out at the same time and it’d be prudent to enter the market if the data is one-sided. Industrial production y/y – It is now well-known that Chinese economic events impact many sectors among them the crude oil. It is forecasted that industrial production will increase to 6.3% from 6.2%. GDP q/q – HDP is a leading indicator as to the health of a nation. The report will be released at 22:45 (GMT). Being the first ever GDP release, it is important to note that New Zealand’s economy relies on trade. The recent tariff talk evidently had some notable impact on the currency. According to the dataset, the GDP is expected to grow by0.8% in Q4. In Q3, the growth was 0.6%. Libor Rate – For a long time now (since January 2015), SNB has maintained a negative deposit rate of -0.75%. The bank threatens that it will intervene in the currency markets as and when it deems necessary. It is expected that Thomas Jordan, Chairman of the governing board of SNB, will not diverge from this stand. Building Permits – At 13:30 (GMT) the data relating to building permits will be released. The report is vital because it gives an estimate cost of future construction activity. The estimate is expected to drop to 1.33M from 1.38M. Capacity Utilization Rate & Industrial Production m/m – This will be done at 14:15 (GMT). Both of the reports are estimated to be better than they were previously.